Dr. Jonathan Botts is a board-certified orthopaedic surgeon. He is a specialist in advanced arthroscopic treatment for shoulders, knees, elbows, and hips. He's a very skilled surgeon with a very pleasant chair-side manner. Easy to talk to. Thanks for listening and offering great potential solutions! He’s very nonchalant. Comes in the room to see u, 2/3 minutes in and he’s out. 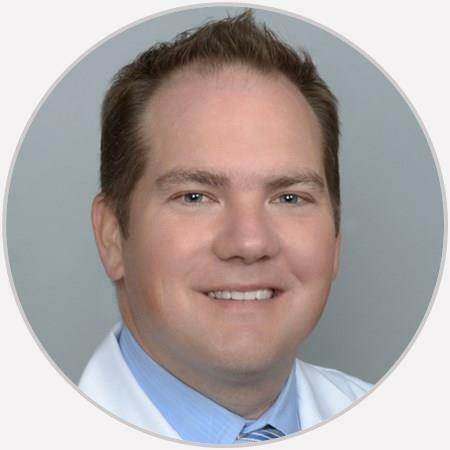 Dr. Jonathan Botts is a board-certified orthopaedic surgeon who joined the Los Angeles Orthopaedic Institute in 2012. A specialist in advanced arthroscopic treatment for shoulders, knees, elbows, and hips, comprehensive shoulder, elbow, and knee surgery, and minimally invasive procedures, Dr. Botts has received sub-specialty training in Sports Medicine. Dr. Botts is a graduate of Williams College in Massachusetts, where he received a Bachelor of Arts degree in English literature. He earned his Medical Degree and completed a General Surgery Internship and Orthopaedic Surgery Residency at Stony Brook Universtiy Medical Center on Long Island, NY. Following residency, Dr. Botts completed a one-year Sports Medicine fellowship at the renowned Kerlan-Jobe Orthopaedic Clinic in Los Angeles. While at Kerlan-Jobe, Dr. Botts served on the sports medicine staff for the Los Angeles Lakers, Los Angeles Kings, Los Angeles Dodgers, and Anaheim Ducks. Dr. Botts is a member of the American Orthopaedic Society for Sports Medicine (AOSSM), Arthroscopy Association of North America (AANA), American Academy of Orthopaedic Surgeons (AAOS), and California Orthopaedic Association (COA).